Thanks for this good post. But i would like to know how i can make the same on a WHM cPanel server ? Can you help me ? 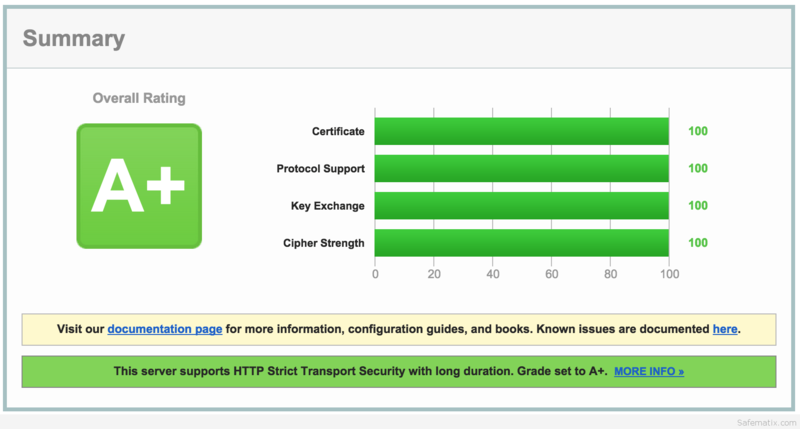 I believe this configuration no longer scores 100 on both key exchange and cipher suite. Multiple HSTS headers also results in “Strict Transport Security (HSTS) Invalid Server provided more than one HSTS header”. As a small side note, because this relies on strict usage of EECDH-only cipher suites (recommended), a static DH parameter file is no longer necessary. I use IIS. What do I do?